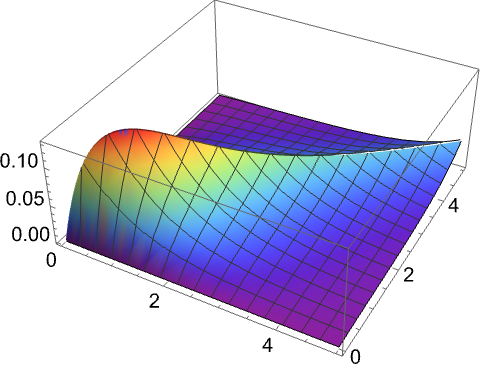 represents a Cox–Ingersoll–Ross process with long‐term mean μ, volatility σ, speed of adjustment θ, and initial condition x0. CoxIngersollRossProcess is also known as the CIR process. 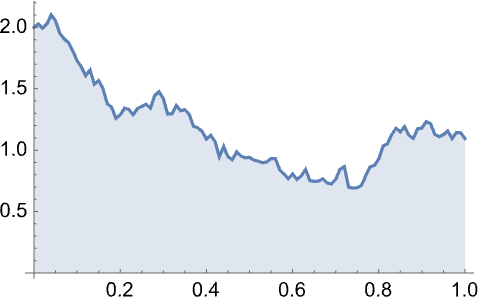 CoxIngersollRossProcess is a continuous‐time and continuous‐state random process. The state of the Cox–Ingersoll–Ross process satisfies an Ito differential equation , where follows a standard WienerProcess. CoxIngersollRossProcess allows x0 to be any positive real number, σ to be any nonzero real number, and θ and μ to be any nonzero real numbers of the same sign. CoxIngersollRossProcess can be used with such functions as Mean, PDF, Probability, and RandomFunction.